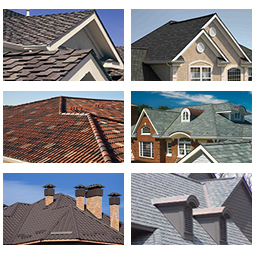 Protect Your Home or Business with a New Flat Roof. When it comes to flat roofs, roof design and shape play important role in keeping your home watertight. We will cover your new roof with special waterproof materials, while the water will expelled off the sides or into a system of gutters. If you have a small building like a garden shade you may want water to fall freely off the edge of the roof. It usually goes to the ground or into a soakaway. A house, for instance, needs a gutter system to be installed to keep the walls and foundations dry as well as prevent water from sitting on the roof until it evaporates. Generally there are two types of flat roofs: rubber and low-sloping metal roofs. While rubber is the most common material for flat roofing, it is known for the need of frequent maintenance, especially in the areas with sudden climate changes. This is the reason homeowners who live in such areas prefer low-sloping metal for their flat roofs. Choosing the right team of craftsmen will help you avoid water leaks and other issues which may occur if the job is done by unprofessional armatures. Give us a call and your new flat roof will be accurately installed by a team of our experienced professionals. Available nights and weekends for appointments!